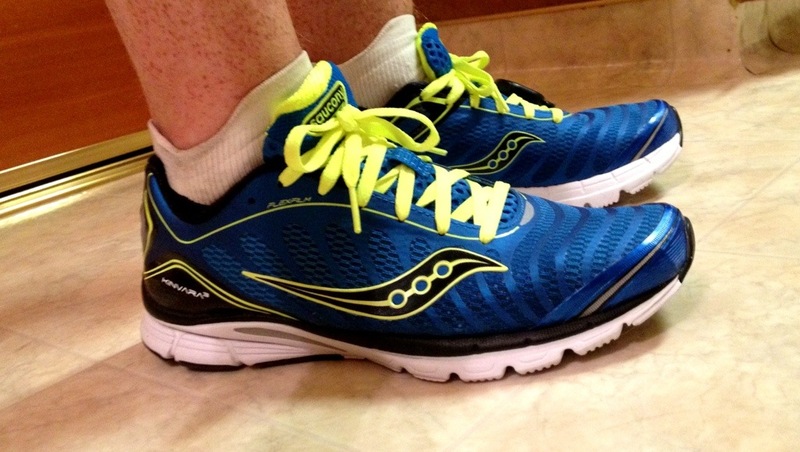 This morning, I put the first miles on the shoes I’ll be wearing for the Honolulu Marathon. Love my Kinvaras 3s! Comments: New shoes caused the “easy run” to fall by the wayside: I did 5.54 at 7:45…BOOYAH!